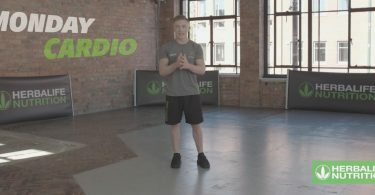 Welcome to Day 14 of the 21 Day Challenge with Nile Wilson. It’s time to let your body rest again and recover for your third round of exercises. Well, a rest for your body at least! Undertaking intense workouts without allowing yourself time to rest can be seen as “no pain, no gain” but can lead to injury as the muscles don’t get time to repair… Use this rest time to go over the week you just had and to prepare yourself for the week to come, so you can get even more out of each workout. A way to speed up your recovery after last week’s sessions is paying special attention to your nutrition. This means organising a meal plan for yourself and making sure you have all you need to keep your body properly fuelled for the week ahead. Now you’ve done week one you know what to expect and can get a jump-start on this next one. Also very important for the rest day is doing something you really love, whether that’s relaxing at home or spending time with friends or family. Do something that is good for the soul to get yourself fresh and ready so you can smash the next week of the challenge! If you’d like more information on products or would like support with your nutritional needs, you can get in touch with a Herbalife Nutrition Member by clicking here. Come back tomorrow for Day 15 of the 21 Day Challenge and another great workout with Nile Wilson.